Manuel Burgos, from Honduras, borrowed $4,000 to pay a recruiter five years ago for visa to work at a produce farm. But once he got to Canada, he sometimes got only two hours work per day. It was a simple promotion on TV that led to heartbreak for Ajesh Chopra and his family. His brother said Mr. Chopra was at home in India when the ad came on, from a large recruitment company, Global Opportunities, promoting visas to study abroad. He contacted an agent there, who told him he could get a work permit leading to permanent residency in Canada, if he signed up for a program at a career college. Last year, Ajesh graduated from St. Clair College in Ontario, but was denied his coveted postgraduate work permit. The whole experience was a worthless ordeal, his brother said, which cost his family $40,000 in tuition and fees, including a commission for the recruiter. Confused and upset, Ajesh went to the Prescott, Ont., office of the Canada Border Services Agency, near the border, to ask for the work permit again. His brother said Canadian border agents interrogated him and told him he would have to leave Canada within days, because he had no legal right to stay. Ajesh Chopra died by suicide in southeastern Ontario last year, after border officials told him he had to leave Canada. The 25-year-old from India had been promised a long-term work permit leading to permanent residency if he attended college in Toronto. That permit was denied, however, after his family spent some $40,000 on tuition and recruitment fees. The 25-year-old drove straight from the border to the Ogdensburg-Prescott International Bridge and jumped. “I blame the government of Canada,” Akshay said, referring to his brother’s untimely death. “I know my brother will not come back, but I only want to make justice for him." Mr. Chopra’s story is among dozens compiled by The Globe and Mail during a four-month investigation into recruitment agents who work in Canada and abroad. The Globe identified 45 immigration consultants, recruiters and employment agents, with scores of complaints, lawsuits and charges against them. They are accused of exploiting at least 2,300 foreign students and workers in recent years, by charging exorbitant, sometimes illegal fees and misleading them about their chances of earning permanent residency, by working or studying in Canada. The Globe tried to reach Global Opportunities in India, but was unable to connect with the company. 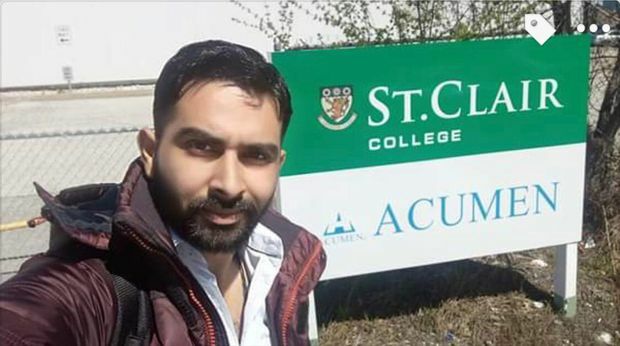 Ajesh’s fellow international students were also stuck holding business diplomas from St. Clair College that cost them dearly. The college said it was not at fault, but instead said the government had made a mistake. The Immigration Minister later stepped in to get them their work permits, tragically too late for Ajesh Chopra. Mr. Chopra’s family endured the worst possible outcome, after he placed his trust in a recruiter, but some three dozen other recruits also told The Globe how they and their families suffered, largely in silence, after they didn’t get the jobs or long-term work permits they were promised. Many ended up destitute and fearing, or facing, deportation. Some are trying to stay as long as possible, by applying as refugees, with dubious prospects of success. Others have gone underground and taken whatever precarious jobs they can get in Canada − working illegally, for cash − in the construction or service sectors. They told The Globe they would endure almost anything to stay here and work, to pay off crippling loans they took out for recruitment fees and send money to their families back home. Some have been serving Canadians for years now, making their coffee and sandwiches, cleaning their hotel rooms and harvesting their produce, while living in cramped, temporary housing and not seeing their children grow up. If they went home, even briefly, they would have no visa to allow them back into Canada. Manuel Burgos said he believes his decision to leave his home country cost his brother his life. “If I were in Honduras and somebody told me to come to Canada − after I knew what I know now − I would never come,” Mr. Burgos said. “If I were in Honduras and somebody told me to come to Canada − after I knew what I know now − I would never come,” Mr. Burgos said. His job at an Ontario farm, he said, didn’t pay as promised and some days he only worked two-hour shifts. He said his brother was killed in Honduras after Mr. Burgos fell behind in repaying a US$4,000 high-interest loan he got from a loan shark there, to cover his recruitment fees. Mr. Burgos then received threats, by text, implying he could be next. “I was in a panic, because I couldn’t pay the debt, but also I couldn’t go back to my country because of the debt," he said, adding that he was sick with worry for his wife and three children back home. “After my brother was killed [the lender] contacted me though Facebook asking me for money, so I moved the family to another city.” Mr. Burgos has applied to remain in Canada as a refugee. One of the lowest points for 44-year-old Filipina Lourdes dela Pena was when one of several prospective employers made it clear that what he really wanted was a “romantic” relationship with her. From left: Lourdes dela Pena, Jessie Veneranda and Maila Ceguerra on Jan. 7, 2019. The Filipino migrants came to Canada on temporary work permits and are now unable to secure new work permits. Ms. dela Pena said an employment agent from Link4staff in Vaughan, Ont., sent her to work for the man, charged her $5,000 for that arrangement and told her to put up with his advances. She said she agreed to clean the man’s house, three days a week, because she said Link4staff told her that would get her a work permit and permanent residency in Canada. None of that happened and in the end she didn’t take the job. Ms. dela Pena has been in Canada for seven years and still has no status to remain here. She has applied for yet another visa, under humanitarian and compassionate grounds. She also paid $5,000 to her first recruiter, a year’s salary in her home country. She’s since lost another $24,000 in all, she says, in “immigration” fees and unpaid wages, for exhausting, thankless work, cleaning houses and picking mushrooms at two Ontario farms. All because she was told that was how to get a foothold to stay. 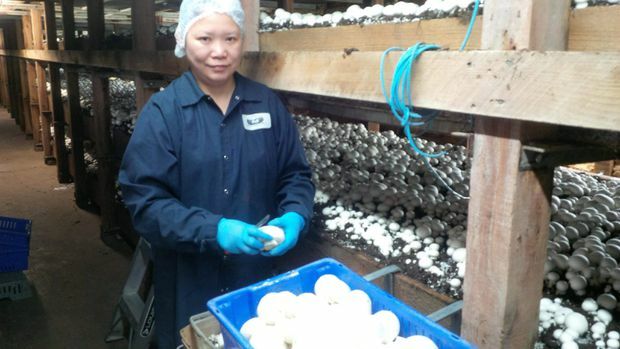 Ms. dela Pena spent long hours picking mushrooms at an Ontario farm, for low pay, because she says a recruiter told her it would help her become a permanent resident in Canada, which never happened. Link4staff, through its lawyer, has denied the claims its former recruits are making against the company. Today, Ms. dela Pena makes $12.50 cash an hour, working under the table at a “sandwich factory” that packages lunches for Torontonians to buy at a major coffee-shop chain. 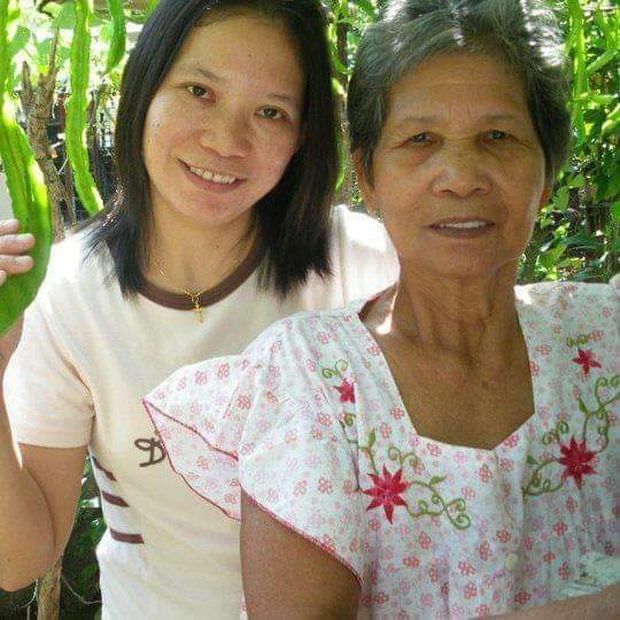 She said that if she went back to the Philippines, she would no longer be able to support her 83-year-old mother, who she hasn’t seen in 10 years since she first went abroad to work. “I am dying to see my mom and hug her, before she totally forgets me,” she said. This is the last time Ms. dela Pena saw her elderly mother, before she left the Philippines to work abroad ten years ago. Rafael Medina says he is too nervous to go home to Mexico. The 46-year-old father of four says people in his town are angry at him and want revenge because he talked them into paying a recruiter for jobs in Canada that never materialized. Mr. Medina said he met Nelson Reinoso in Brampton while he was in Canada buying supplies for a food export business back home. He said Mr. Reinoso spoke Spanish and told Mr. Medina that if he got his friends and family to pay $1,800 each, he would give him and others jobs with a mobile body shop in Toronto. Mr. Reinoso has an Ontario business licence and Mr. Medina said he seemed legitimate, so he persuaded 24 people from his town in Mexico to send money. He said Mr. Reinoso and an associate picked up the payments from Western Union and disappeared. Mr. Medina reported it all to the Toronto police last year, but has heard nothing since. The Globe was unable to find Mr. Reinoso for comment. 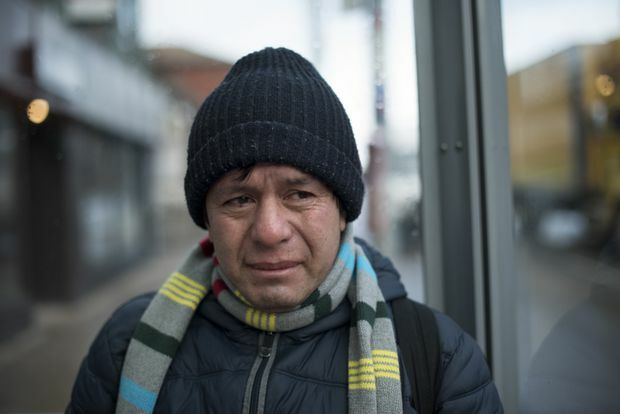 For a while last winter, Mr. Medina said he had nowhere to stay. He said he would hang around Tim Hortons until it closed, then ride Toronto buses until subway stations opened at 6 a.m. He is now getting Ontario government assistance and has filed a refugee claim. In several of the cases The Globe looked into, people enticed to Canada for non-existent work then claimed to be refugees, when they ran out of other options. Federal figures show citizens from India and Mexico are among the top ten groups who have filed refugee claims from inside Canada − not at borders or airports - in recent years. Those are also among the top countries for recruitment to Canada − Mexico for low-wage workers and India for students. Last year, people from India received three times as many study permits as they did in 2015. Indian nationals also filed 15 times more inland refugee claims last year as they did in 2015, while Mexicans filed five times as many in the same time frame. Almost as many refugee claims from India are denied as those accepted, and most from Mexico are rejected. Claiming to be refugees buys people more time in Canada, though, because the waiting time is up to 21 months before claims are heard. It all puts more strain on Canada’s refugee claimant system, which last year received 2,300 more new claims each month than it had the capacity to process. It is also another way for the immigration consultants to make more money. Some foreign workers file refugee claims after the jobs they came to Canada for turn out to be unbearable. Brayan Aguilar was recruited to Ontario from Guatemala four years ago, to work at a large corporate farm that has brought in several dozen temporary foreign workers over the years. He said the bosses treated the workers terribly. Brayan Aguilar, from Guatemala, seen here on Jan. 10, 2019, came to work legally at a produce farm, but then spoke out and complained because he said the supervisor was abusing and belittling the workers. He left and is now working at a better job legally and claiming refugee status. “They said, ‘You are stupid. You don’t understand the instructions at work.’ But it was because our English wasn’t good and the supervisors only spoke English with no translator and it was so hard to understand," Mr. Aguilar said, adding that he complained about the supervisor because he said he swore at the workers and called them names. After that, the 33-year-old said, he was told his contract wouldn’t be renewed. In the meantime, Mr. Aguilar said, he had to move his family in Guatemala three times. The notorious, violent Mara 18 street gang was after his wife for money, he said, because they believe anyone who goes to Canada to work gets rich. Mr. Aguilar has filed a refugee claim and so now has a permit to work anywhere in Canada. He has a new job with a home-renovation company and said he hopes to bring his family here, before his seven-year-old son can be recruited by the gang. Most recruiters and employers responsible for bringing migrants to Canada, in cases The Globe looked into, faced few or no consequences when the arrangement fell apart, while some recruits paid a much higher price. A dozen foreign workers taken in by a recruiter in Quebec were then detained pending deportation this year, because they were found to be working illegally. Rudy Vasquez, a 31-year-old from Guatemala, was one of them. Mr. Vasquez and others said the chicken-farming operation that they were legally allowed to work for didn’t pay them as promised. When another recruiter came along promising better farming jobs, through his placement agency, they went with him, he said, thinking it was legal. “Agencies should not take advantage of people like myself who was not aware of local laws,” Mr. Vasquez wrote in an e-mail, through a translator. The first farm reported them missing to immigration authorities. After several unsuccessful appeals, Mr. Vasquez and others were ordered deported to Guatemala. He’s been given a temporary reprieve, but others have already been sent home. Mr. Vasquez has spent weeks in detention, and months in limbo, without being able to earn money to send to his family. Esvin Cordon, the recruiter who the workers said kept a portion of their wages, has not been charged, more than two years since his operation was raided by immigration authorities. The Globe was unable to find him for comment.